Victoria, Mahe (Seychelles) – September 21, 2017 (travelindex.com) – British Airways has announced that it will be resuming scheduled flights to Seychelles as from March 2018. The United Kingdom’s flag carrier, also one of the world’s leading scheduled international passenger airlines, will launch direct flights to Seychelles as of March 24, 2018. British Airways will be resuming flights to Seychelles, after over a decade of not flying to the Indian Ocean island destination. It will operate non-stop twice-weekly flights from the London Heathrow airport to Seychelles from March to October, offering more choice to sun-seeking holidaymakers. The flights will depart Heathrow’s Terminal 5 on Wednesdays and Saturdays and will be operated by the airline’s newest fleet of aircraft, the Boeing 787-9 Dreamliner. The return flights to Heathrow will be on Thursdays and Sundays. The British carrier says the route timetable is perfectly positioned for honeymooners and holidaymakers keen on extending their break in the Seychelles. “The Seychelles is one of the most beautiful places on earth and we’re delighted to be adding this collection of islands to our extensive route network,” said British Airways’ Director of Network and Alliances, Sean Doyle. Customers can now get into ‘holiday mode’ even earlier with British Airways’ direct flights from London taking 10 hours, instead of over 13 hours with a connection in the Middle East. As one of the leading luxury holiday destinations, the Seychelles offers customers a wide range of accommodation and activities in stunning natural surroundings,” he added. British Airways will become the only airline offering non-stop service between Seychelles and the UK, which is an important market for Seychelles. Visitor arrivals from the UK & Ireland, which is currently the Seychelles’ fifth largest market, stands at 15,427 to-date for 2017, representing a 22 percent increase over last year. The Seychelles authorities including the Seychelles High Commissioner in the UK, Derick Ally, and the Seychelles Tourism Board through its Chief Executive Sherin Francis and the STB UK office as well as the Tourism, Civil Aviation, Ports and Marine Ministry through Minister Maurice Loustau-Lalanne, have been instrumental in securing British Airways’ engagement to resume flights to Seychelles. Welcoming Tuesday’s announcement, Minister Loustau-Lalanne said this is the best news for the Seychelles’ tourism industry both for its short term and long term viability. “We were all devastated when British Airways pulled out in 2004. The return of British Airways to the Seychelles with two non-stop flights from London Heathrow in 2018 will provide a boost, especially to our 5 Star establishments. It will also help to further develop our USA market and elsewhere,” Minister Loustau-Lalanne added. British Airways has launched over 30 new routes across the globe this year and flights to its new Indian Ocean route, Seychelles, as of March 2018 are already available for booking. The airline will be offering a 4-class cabin product on the Seychelles route with its Boeing 787-9 Dreamliner having a 216 seat capacity, which signifies over 400 additional seats weekly, for visitors travelling to the Seychelles islands. 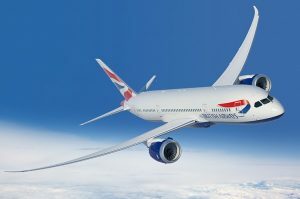 “Return fares start from £699 in World Traveller, £999 in World Traveller Plus, £2499 in Club World and from £3499 for First, and are available to book now on ba.com,” British Airways said in a press statement issued on Tuesday.